In 2004 the American Diabetes Association published a study in the journal Diabetes Carethat indicates that vinegar increased overall insulin sensitivity 34% in study participants who were insulin-resistant and 19% in those with type 2 diabetes. That means their bodies became more receptive to insulin, allowing the hormone to do its job of getting sugar out of the blood and into the cells. Blood sugar and blood insulin levels were lower than normal in the insulin-resistant participants, which is good news. Worth noting, the control group (did not have diabetes or a pre-diabetic condition but were given the vinegar solution) also experienced a reduction in insulin levels in the blood. 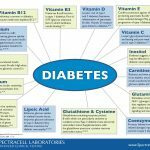 These findings are important because in addition to the nerve damage caused by consistently elevated blood sugar levels, several chronic conditions, including heart disease, have been linked to excess insulin in the blood over prolonged periods of time. 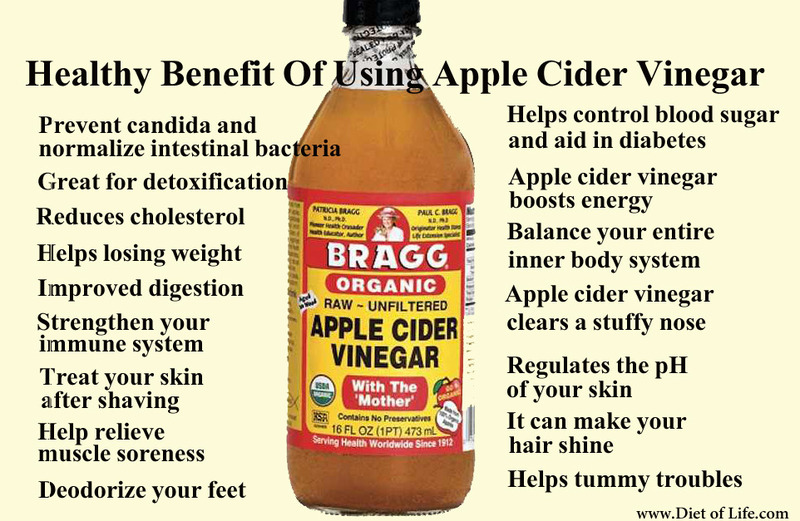 It has been claimed that ACV breaks down fat and is widely used for a metabolism boost and to lose weight. Some say that the pectin, enzymes, vitamins, or potassium may help with weight loss, but there is no reliable research proving that the contents of ACV can influence the body’s metabolic rate or make the body “burn fat” faster than it normally would. ACV may affect satiety by lowering the glycemic index of carbohydrates eaten at a meal. The 2005 white bread study mentioned above indicates that ACV increases the feeling of being full and satisfied. A 2006 study published in the Journal of the American College of Nutrition stated that vinegar is effective at reducing the glycemic effect of food, an effect that makes people eat less and feel more satisfied. A 2007 confirms that ACV acts by reducing the gastric emptying rate, which makes sense why it would increase the feeling of being full and satisfied, which would facilitate a lower calorie intake and thus weight loss. Vinegar is tasty and low in calories, serving as a great replacement for high fat ingredients. Compare the 30 calories in ½ cup with the nearly 800 calories in half a cup of mayonnaise, and you have huge calorie reduction potential with substituting it as an ingredient and condiment. Contrary to what you might think of vinegar, ACV is actually alkaline-forming in the body. When the human body digests nutrients, it undergoes a process called oxidation, which is similar to burning and the end result is either alkaline or acidic. If ACV was to be “burned”, what is left over becomes ash which has an alkaline pH when dissolved with water. 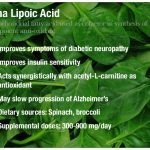 It is widely thought by natural practitioners that cancer develops and thrives in an acidic environment. This is a controversial topic and many medical doctors claim there is a lack of scientific evidence proving this theory; however we found this study that demonstrated that an acidic intra-tumor environment may markedly perturb tumor cell proliferation and tumor growth. Other illnesses such as gout and Candida (yeast) thrive in an acidic environment. ACV’s alkalizing effect may be helpful in keeping your pH alkaline and preventing these illnesses, which could in turn help to combat fatigue, cold and flu, and a weak immune system. One of the major benefits of apple cider vinegar is that it makes your body alkaline (as opposed to acidic). There is a significant inverse correlation between one’s health and their acidity (which can be measured). Certain foods make you acidic (sugars, alcohol simple carbs, artificial sugar, peanuts, most oils except olive, meat, dairy and smoking (more of a habit than a food)) and certain foods help turn your body alkaline (melons, dates, lemons, grapes, and apple cider vinegar). Interestingly enough even though apple cider is obviously acidic the digestive ‘ash’ residue from digestion has a alkalinizing affect on the body. In fact many argue a key cure to cancer is to alkalize the body. This will be expanded on later in another article. Interestingly enough regular vinegar has a neutral PH ash factor. Some suggest taking baking soda with the apple cider vinegar (it’s going to be neutralized anyways) because this will cut down on the bicarbonates the pancreas has to produce (meant to neutralize acid) which should further help to alkalize and oxygenate the body.